Ahoy to a great year that has been but not yet gone! Ahoy there and Merry Christmas! Competitions - there are so many of these things out there who really know what is legitimate. The BBC Wildlife Photographer of the Year and BBC Camera Trap competitions have always stood out to me more than any others. 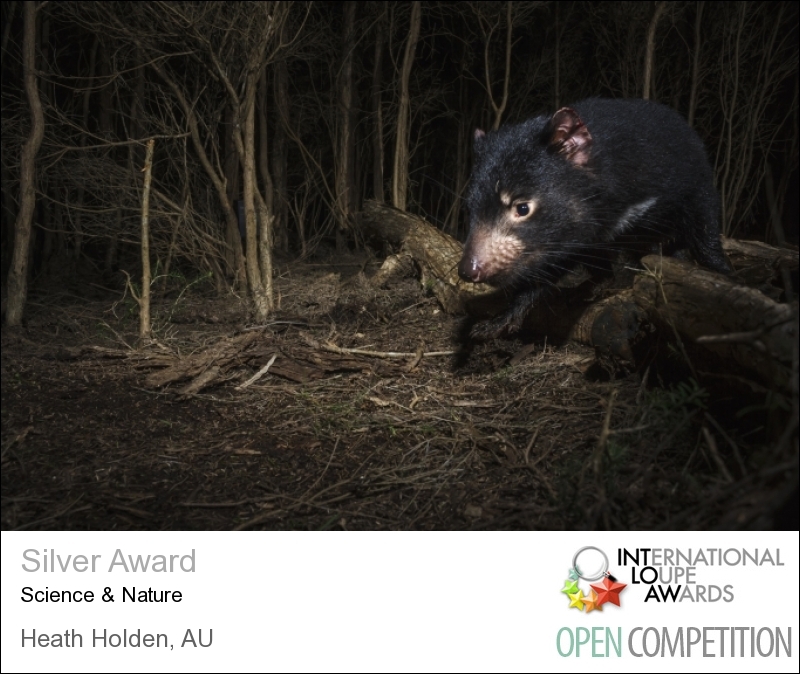 This year one of my Tasmanian Devil images received a commended in the Camera Trap competition which is exciting, since then I have some more images and will be entering the 2014 competition when it opens. The Camera Trap competition aims more towards science and conservation than simply pretty pictures. So, I try to blend the two and make beautiful pictures of unique species, easier said than done... There is another competition I have been meaning to enter a couple of times but miss the date every time, this time I got it. (Thanks Jason L. Stephens for the reminder) It's called the International Loupe Awards, there are amateur and open awards and is very popular. 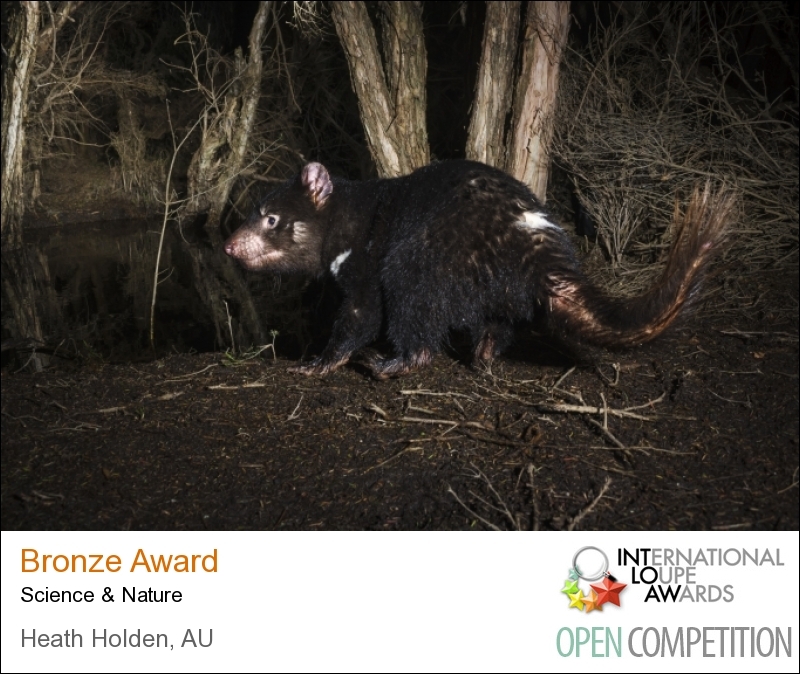 The open awards has more specific categories such as science/nature and photojournalism. I entered four images - two in science and nature, one in photojournalism and one in sport. Good results with three bronze awards and one silver. The future is bright, many exciting things on the horizon. I've been teaching some camera basic courses based out of Watt's camera store in Burnie. Passing on some knowledge feels pretty good, helping others clear up some technical issues and learn some of the core fundamentals of this addictive hobby/job/. This last week of the year and early 2014 is looking exciting already, I'll be heading to Hobart in a few days to shoot the Rolex Sydney to Hobart yacht race for AAP along with another Round the World race at New Year. I did this last year and was a pretty good experience and everyone was happy with my work. More confidence this year so this can only be a good thing! Late in January I'll be shooting Wildside MTB also, should be good! Thank you to everyone who trusts me to shoot quality work for them - real estate agents, builders, newspapers/newswire, commercial clients and of course those elusive Tasmanian Devils making appearances right where I want them! Adios, go get yourself some tequila! International Loupe Awards, bronze. Sport 13th outright. International Loupe Awards, bronze. Photojournalism, 18th outright. International Loupe Awards, silver. Science and Nature, 18th outright. I'm going to keep these posts short and sweet. This is #1 of more to come... I'll explain my project over several posts and share what information and shots I think others might like to see. Feel free to share this and my website. I had this idea maybe 2 years ago while living in Singapore. After scanning the internet for what was available, (which there was very little) I though about attempting to shoot some high quality images of Tasmanian Devils. A few conditions I gave myself were: The devils had to be 100% wild, absolutely no bait to attract the devils, to keep the images as natural as possible. In the beginning I had no idea how to do it, after questioning some people I concluded that camera trapping was the only option to get the images I visioned. In my "Life of a Tasmanian Devil" gallery you will find a selection of what I've shot so far in a photo essay type layout. So yeah, this blog is way behind. But I though I should share some other info I've collected over the 18 or so months. 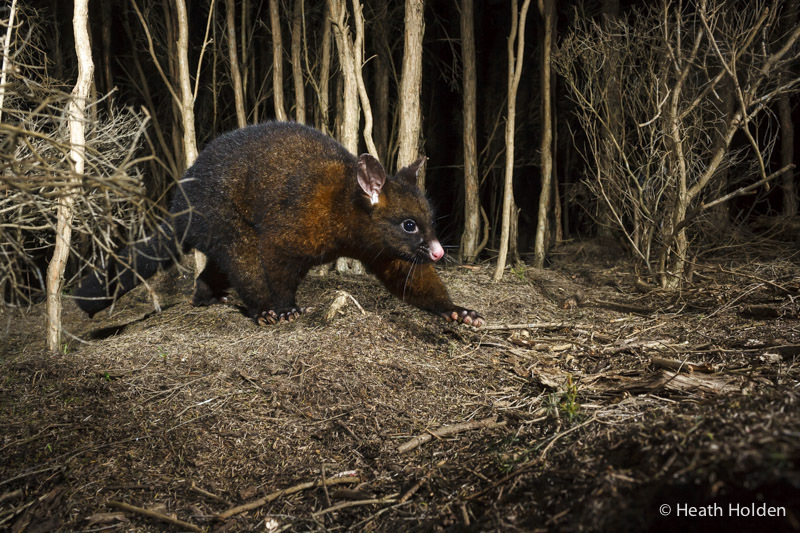 The Tasmanian Devil shares its habitat with many other species so I do get some other visitors which are welcome. These camera trap shots are always a lot more up close than usual. Here are a few shots of other visitors. Sometimes I get other visitors to the area. I don't mind this as camera trap images are a lot more intimate than shooting from way back with long lenses. A big ole wombat passes by a trap. This young healthy devil is looking pretty serious about life. The next frame however is a lot less intimidating. You'll see that next post. Well, my new website is here, all refreshed. I must start to use this great blog feature that is built in. I'll try to write about my work as I go, mostly my Tasmanian Devil photography project. I'm getting some great results lately. Right now I'm midway through finishing off a lengthy application form to hopefully be a part of a great photography organisation. Stay tuned and wish me luck! A couple of links which might interest you. WWF Australia featuring a recent devil shot on their FB site: HERE. A guest blog I wrote for ARKive: HERE.